GORGEOUS 4 BR, 4.5 BA CRAFTSMAN HOME IN DESIRABLE CARY PARK WITH SALTWATER POOL! 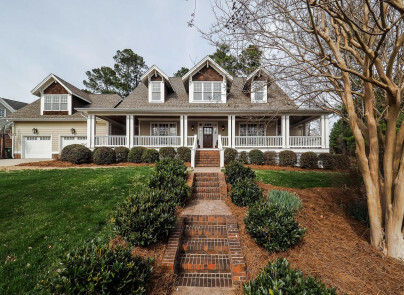 Prepare to be wowed by this southern charmer complete with custom finishes everywhere. View of the lake from your huge covered front porch. Recently remodeled Chef's kitchen with soft close cabinetry, island, granite and stainless steel appliances. Beautiful Brazilian cherry floors. Roof & Gutters replaced 2016, exterior painted 2016. 1st floor guest suite with private FULL bath!